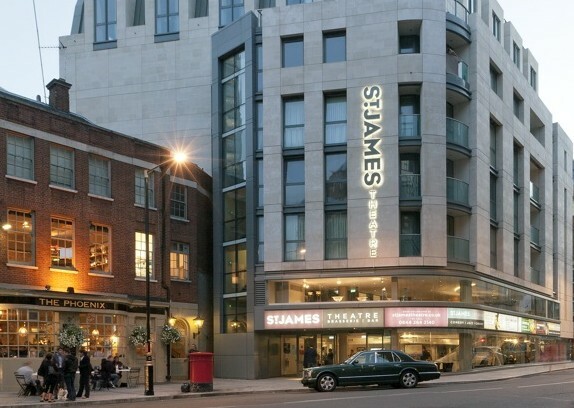 The St. James Theatre is a major venue in London, with a 312 seats theatre and a 100 seats studio theatre, it offers an incredible schedule of entertaining events such as hilarious comedy shows and an exhilarating weekly jazz night every Friday. Rising from the site of former Westminster Theatre at 12 Palace Street – in the heart of Victoria – St. James Theatre is the first newly-built complex in central London in 30 years. It features a 312 seats theatre, a 100 seat studio theatre, a brasserie and bar serving delicious food, wine and cocktails. Associate Artistic Director James Albrecht made it clear what the venue’s aims are: ‘Our ambition is to make the St. James Studio a major venue for London and the local area in and around Victoria. We aim to present the best in both established and up and coming comedy on Thursdays, to emerge as London’s newest and most exciting Jazz venue on Fridays and bring you acclaimed cabaret on Saturdays’. The newly-inaugurated jazz schedule (the season’s opening gig was on October 12th) has included names such as singer-songwriter Carol Grimes, world double-bass player and record producer Peter Ind and Thelonious Monk-influenced Tony Kofi Quartet. On December 7th St. James Theatre will host a gala concert as part of the opening season of concerts at the venue. The line-up includes Alex Wilson, Soweto Kinch, Omar Puente, Gwyneth Herbert and many more. Joining them there will be an electrifying rhythm section that will be ‘the cherry on top of the cake’ of an evening of exceptional music and in a joyful Christmas atmosphere. London’s St. James Theatre is set to become a ‘must’ for all jazz musicians touring in London. The variety of its shows – with hilarious stand-up comedy and an intriguing weekly Friday jazz night – its delicious meal, classy wines and fancy cocktails make St. James Theatre one of the hottest and entertaining venues in town. This is definitely worth checking folks! INFO: The St. James Studio is a major new venue for London, with an exhilarating weekly jazz night every Friday curated by one of London’s renowned jazz musicians, Dorian Ford.